Americans love their animals like no other country! Many have become family members and to some, even children. Like a baby who cannot express he or she is in pain and so behave erratic when they are, so too do animals. Can you tell if your animal is suffering? If so, can you tell what is wrong? Do you know if he or she needs expensive medical procedures or if a less-expensive alternative like animal chiropractic care would alleviate the pain? 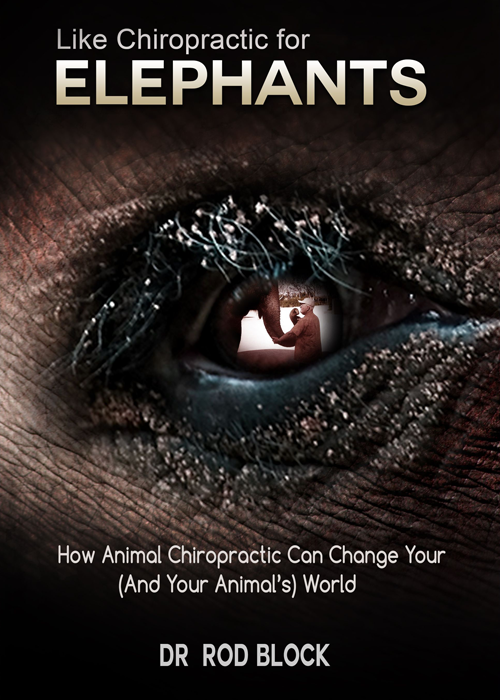 In Like Chiropractic for Elephants, Dr. Block, one of the true pioneers in animal and zoo chiropractic care, details the intriguing physical, spiritual and emotional connections between humans and animals. Based on his 40-plus years of experience working with and understanding the nervous system, Dr. Block explains the relationship between two-legged and four-legged beings. In his book, Dr. Block reveals that animals know what we know and our animal spirits have a great deal to teach us about awareness, empathy and personal discovery. He has the uncanny ability to tune into the root cause of an animal’s state of disease, without the use of drugs or surgery. If you love your pet or animal, and would like to learn how to understand him or her, and best care for and prevent pain, disease and suffering, get Like Chiropractic for Elephants.